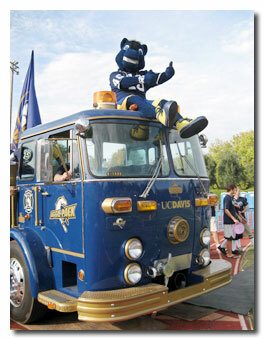 UC/Davis is a very fine institution; however, the first two years are steeped in mediocrity. The worst teachers I ever had in my life were at UCD, but I had some very good ones which were all in the upper division years. The lower division was designed to get rid of you. The quality of the instruction in the lower divison was downright horrible. The administration had no interest in education in those first two years. I met with a very cold, unsympathetic administration when I had problems. I did poorly my first year and had a dean tell me I was inferior and that I shouldn't be there. I turned things around and graduated and went on to a very fine MBA program at another first rate university. Frankly, I wouldn't waste my time at a school like UCD. This was back in the 1960's and hopefully the administration has changed their tune. I have yet to give a donation (and never will) but I give very freely to the school from which I received my MBA. I only attended UCD because of family finances. Knowing what I know now, I would have borrowed the money to attend an institution of my choice.